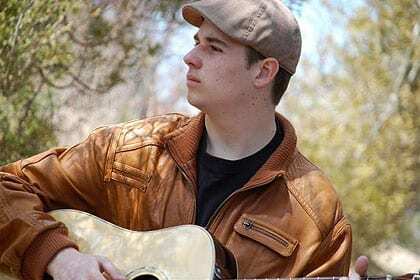 Micah O’Connell came to the East Coast from Ontario three years ago to follow his dream of pursuing a music career. And he is doing just that! He’s been honing his skills playing with the Bruce Street Bandits, performing locally and across Canada. He also plays saxophone and bass as a member of a six-piece instrumental group, Northwest Arm, out of Halifax. His debut album, Big Mouth and The Old Oak, recorded with the Bruce Street Bandits, came into being with some help from Wolfville’s Andy and Ariana. He currently lives in Halifax, and a second album, to be released in the upcoming year, is in the works.